Yesterday was Sailor Moon Day at Anime NYC in Manhattan. 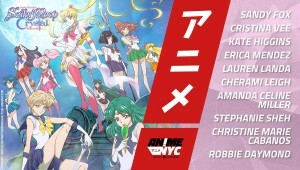 Viz Media held a Moon Panel with the cast of the English dub of Sailor Moon at which they revealed long awaited details about Sailor Moon SuperS on home video! 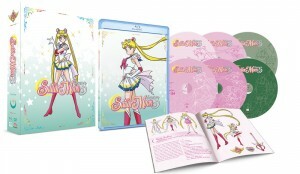 The Blu-Ray and DVD release will be out April 10th and is currently available for pre-order from Right Stuf for $71.99. A Right Stuf exclusive coin is included for the Limited Edition. 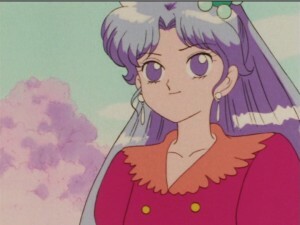 Though the release isn’t named “Part 1″ the episodes listed are only episodes 128 to 146, the first 19 episodes of the season, even though Sailor Moon SuperS runs up to episode 166, leaving 20 episodes for the eventual second part. 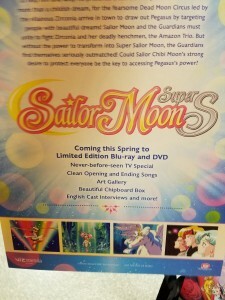 Fans who attended the panel mentioned that the set would also include the Sailor Moon SuperS Special though this isn’t specified on the product listing. This special has never seen a release in English before. The Sailor Moon SuperS Special originally aired on Japanese TV between Sailor Moon SuperS episodes 131 and 132. Since it’s not standard episode length and doesn’t have an episode number it isn’t really considered to be part of the show proper. It also doesn’t continue the story of the Dead Moon Circus but instead involves a few flashbacks and some side stories. The first side story shows us what Sailor Uranus and Neptune were up to during this season and the other tells the story of a Vampire girl Lilica who is one of Chibiusa’s classmates. This story is an adaptation of the first of Chibiusa’s Picture Diary from the manga. It makes sense to include these with the TV series if that is indeed what is going on here. The Japanese DVD release included the SuperS Special along with the first SuperS DVD. One would expect they will be doing the same when Sailor Moon SuperS gets its upcoming Blu-Ray release in Japan. Update: A poster handed out at the event confirms that the “Never-before-seen TV Special” will be included in the set. 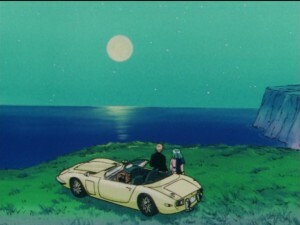 This would be the Sailor Moon SuperS Special. 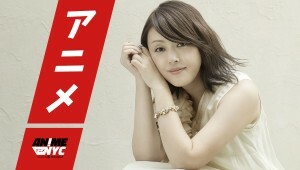 This can be seen in photos of the pamphlet on Twitter. Thanks to Liza from our Facebook page for finding this confirmation.